> want to use not only the course but also additional, interesting activities, business or hobby-themed classes. We realise how important it is to be in constant contact with the English language if you want to remain fluent. Nowadays we use English almost every day, especially at work during business meetings. But not only, often we talk in English with our colleagues, and we make friends with people from all over the world. What classes can you take part in at speak Up? 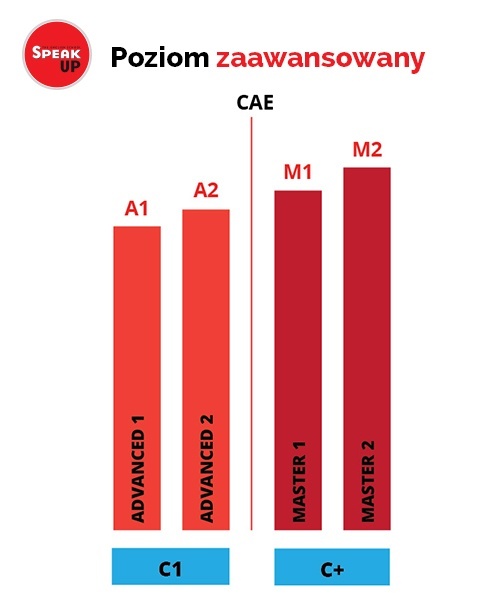 Your English level is Advanced and you need new challenges and want to train the skills you have already acquired. This is why we offer many different classes and freedom of choice. 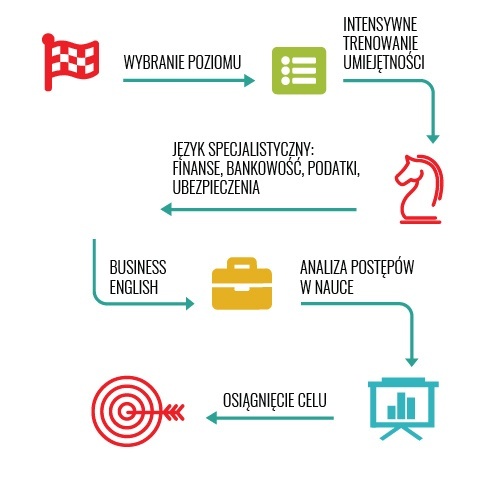 General English classes with a teacher with business elements - 60-minute classes. Additionally at Speak Up you decide how you want to learn, you can choose ONLINE CLASSES in our VIRTUAL SCHOOL or LESSONS at one of our traditional brick-and-mortar schools or both. Dodatkowym atutem nauki w naszej szkole jest to, że to Ty decydujesz w jaki sposób chcesz się uczyć - czy mają to być zajęcia ONLINE, W WIRTUALNEJ SZKOLE czy STACJONARNE lub mieszane. You can accurately demonstrate attitudes, feelings and points of view. You can review and express constructive criticism. You can defend your point of view, express different reactions and degrees of certainty. You notice hidden meaning. And can talk about household chores. You express hypothesis concerning causes and consequences and you can formulate detailed statements about complex problems. You use different registers, adequate to a particular situation and express your opinion on topics concerning scientific achievements. You express attitudes, feelings and points of view in a coherent manner, using advanced language structures. You can defend your opinions in a convincing way. You can use idioms and notice hidden meaning, expressed indirectly by others. With ease, you talk about business issues. You express opinions and hypotheses on various substantial issues. You can create detailed, coherent statements concerning business (i.e. conducting meetings or giving presentations). You use complex language structures and idiomatic expressions spontaneously and precisely. For me, it is very important to have constant contact with the language. It is possible at Speak Up. Online classes are very convenient. I work a lot and very often I travel on business. Without Speak Up it wouldn’t be possible for me to learn English. Flexible hours do a great job! I truly appreciate the passion and commitment of teachers. They treat us as equals. Many Native Speakers to choose from.